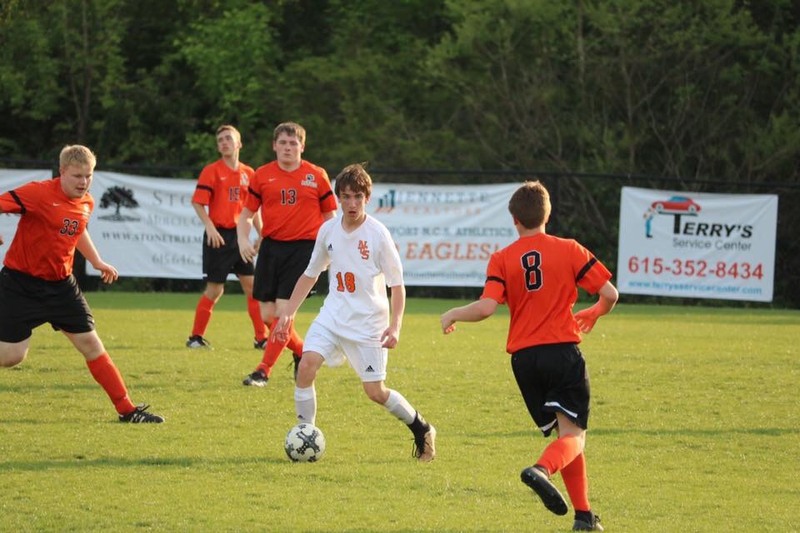 On Thursday, May 3rd, the Eagles soccer team played in the 1st round of the district tournament. The 6th seeded Eagles faced 7th seeded Middle Tennessee Christian. The Eagles had home field advantage for this game and had been playing well at home. After riding a long losing streak, the Eagles were due for a win. The Eagles changed some of the strategy this game and it worked. The Eagles pressured the Cougars by shooting a lot early in the game. 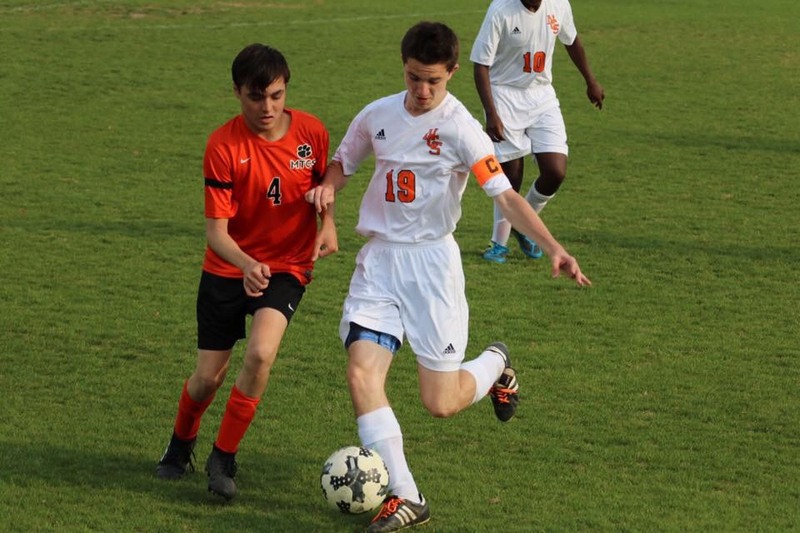 Sophomore Tristan Hogan got the scoring started for the Eagles with a nice turnaround shot to make the score at the half 1-0. Coach Williams made some adjustments at half and the scoring started right back out of the half. Freshman Ian Rogers knocked in a goal with a nice cross from Tristan Hogan to make it 2-0. The Eagles took over the game at that point, Zach Clark scored a goal after coming off a 2 game suspension. Then the Eagles put the icing on the cake when Zach Clark passed a great ball and Tristan Hogan finished it off to set the final score at the 4-1. With the win, the Eagles will have to travel Saturday, May 5th to face BGA. As the 3 seed, BGA is a very talented team and the Eagles will have to bring all they have to advance.